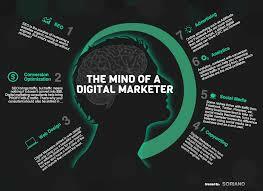 Digital Marketing - a Dark Art? 100% of the attendees at a recent Adviser Boot Camp on Digital Marketing answered “Yes” to the question “who finds marketing a dark art?” A startling result! Quantum Credit attended #TheAdviserBootCamp and was also one of the Gold Partners of the event. Valuable lessons in digital and social marketing were learnt from marketing rockstar presenters -Tim Reid, Adam Franklin and Greg Cassar – and ‘dark art’ it need not be! Nothing beats what others say about you and your business. Get your referrals, recommendations and endorsements published on your website urgently. Google sees this as ‘relevance’ which contributes significantly towards your SEO and ranking. Polls conducted during the bootcamp were revealing of the current status of digital/social media marketing in the adviser/broker sphere. Most of the attendees selected “making my website more effective” as an area to give the most focus to after the event. Attendees favoured this option over the others - content strategy, social media strategy or pay per click advertising. Having an established website for many years, we recently started the social media journey at Quantum Credit and it has been an interesting experience so far. Why not get social with us - links on our blog page! We wish you every success in your digital marketing and social media journeys!